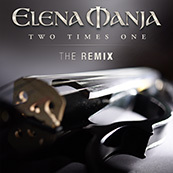 Here you can download my composition »Two Times One – The Remix« for free, as an MP3 file. You are very welcome to pass this on to your friends, it makes me happy when my music reaches many people. My new composition »Two Times One« and the accompanying music video are now online. 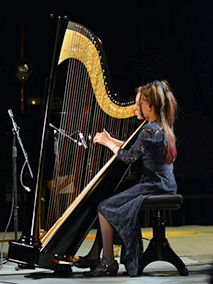 It is a journey through classical and modern electronic soundscapes. 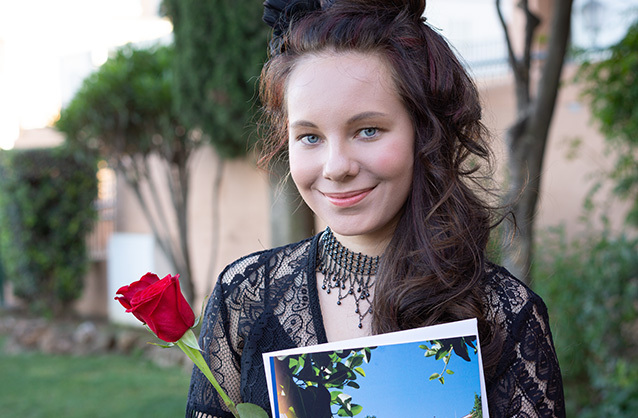 The video was shot in Seville and Estepona, southern Spain. You are also able to watch my videos on YouTube and on Vimeo (in HD quality). 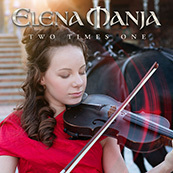 Here you can download my composition »Two Times One« for free, as an MP3 file. You are very welcome to pass this on to your friends, it makes me happy when my music reaches many people. 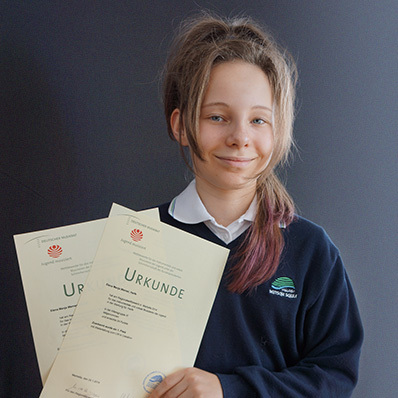 I have finally mastered my high school diploma – as the best in my year and the perfect score of 1.0! »Hold on …«, you may ask yourselves, »… with 16 years?« Yes, I skipped two years. So there is nothing odd going on here, although, I find it hard to believe myself at times. In any case, this certainly lifts the weight off my shoulders and I am overjoyed being able to dedicate my time 100% to music now. I am looking forward to everything that is ahead of me. One could gain the impression as if things got a little quiet around me. The opposite: My life continues to be full of music! 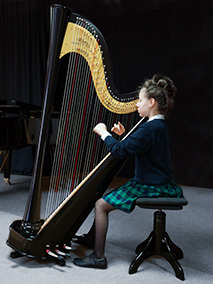 I have my hands full and pursue the dedication of my dream of becoming a musician and a composer. 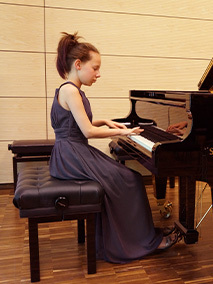 Next to school (which admittedly demands a lot of time, shortly before my high school diploma), I take weekly private lessons for piano, harp, drums, and guitar, as much as composition, harmony theory, and ear training. A full program so to speak, and I love it! 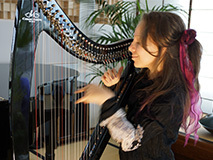 My first CD with compositions for the harp is currently being prepared. 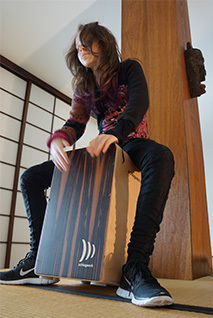 12 pieces are composed and finalized and as soon as I have the time and space, I will record them in my studio. This is going to be mega exciting! Olé! My new flamenco guitar! 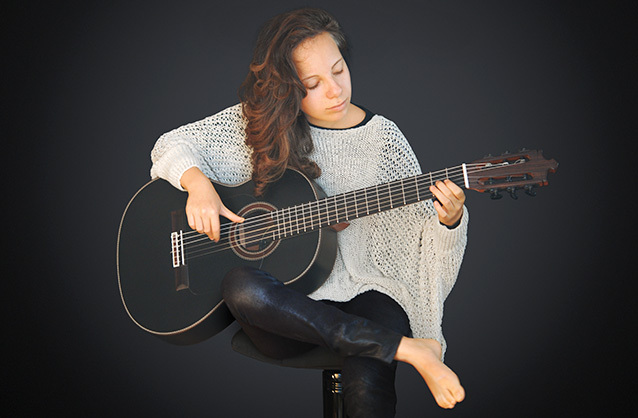 Since almost a year, I have also been learning to play the guitar and am moving through entirely new worlds of sound – from classical to modern. I am especially fascinated with flamenco, the traditional Spanish music of Andalusia. 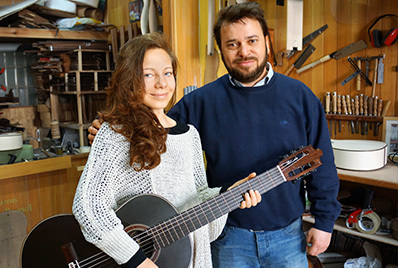 Together with the guitar maker Antonio Bernal from Sevilla, we designed a black matt flamenco guitar and he built if for us. It is the first of its kind and turned out to be a beautiful piece of craftsmanship, a feast for all senses. Gracias de todo corazón, Antonio! … my new composition »Catch this blues!« and the accompanying music video are now online. And as the title already suggests, this is a blues – written for electric harp, piano, and drums. We shot this video in an old bodega in southern Spain. Check it out! 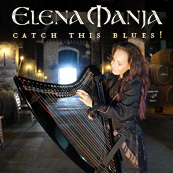 Here you can download my composition »Catch this blues!« for free, as an MP3 file. You are very welcome to pass this on to your friends, it makes me happy when my music reaches many people. My new composition »Joana« and the accompanying music video is now online! This piece is dedicated to my twin sister Joana, who passed away, and to everyone who has lost a loved one. Here you find out more about »Joana«. 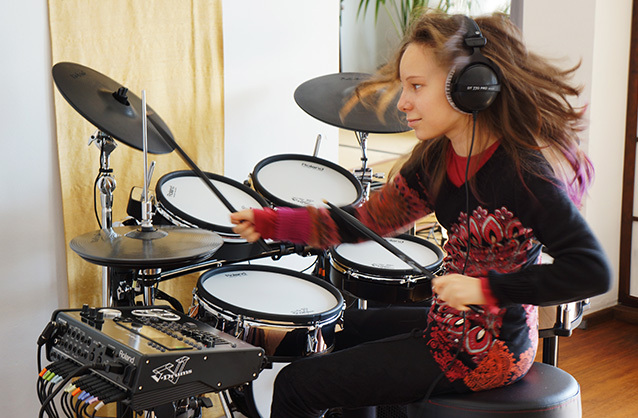 I have worked intensively for many months and prepared myself optimally to the highest technical and musical standard in both instruments, with the help of my teachers. Both auditions in front of the respective expert juries went really well. 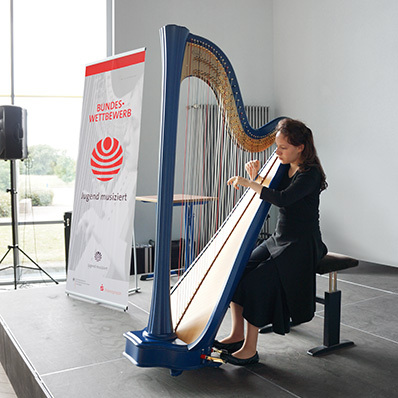 I am particularly proud of a Federal Prize second place for my harp play. 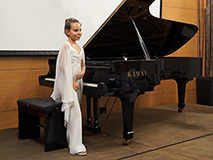 But also the rating »very good« for my piano play (which equals a 4th prize), is a very big success for me! I would like to express my deep gratitude to everyone who has accompanied me in thoughts and with their good deeds! OK – that's it for now with competitions and I've got more time again to focus on my own compositions and projects, which I am really looking forward to. 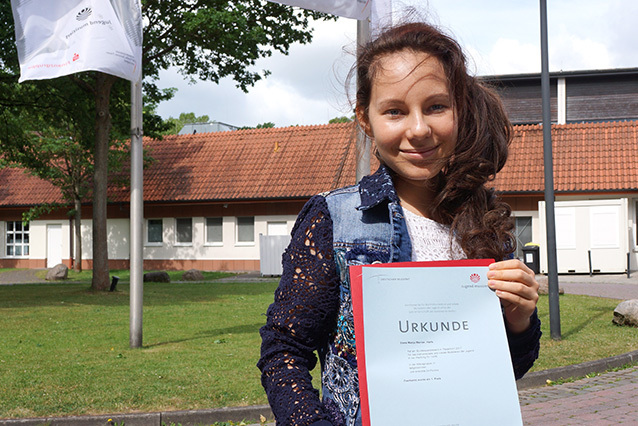 The federal competition in Braunschweig and Wolfenbüttel was the third and last round of the »Jugend musiziert 2014«. 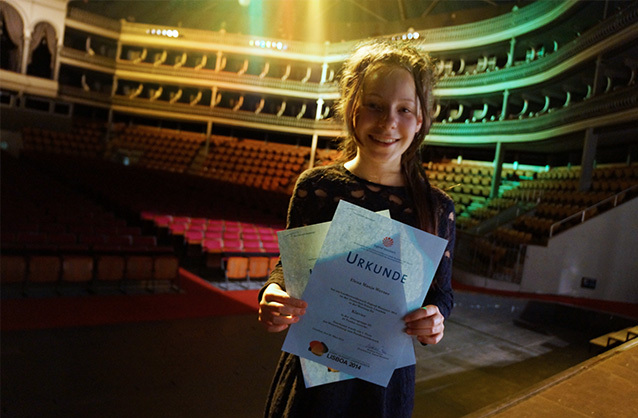 This is where 2,493 of the best gifted young performers from Germany met in various instrument categories (approx. 11% of the original 23,183 contestants). The level of quality was unbelievably high. 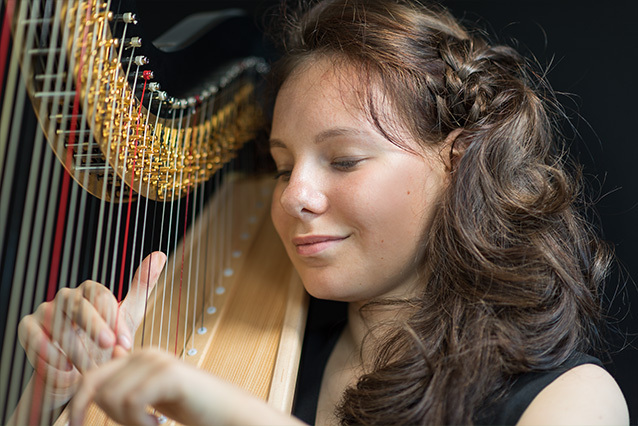 When closing your eyes, you could not imagine that young people were playing the instruments. Lucky me! 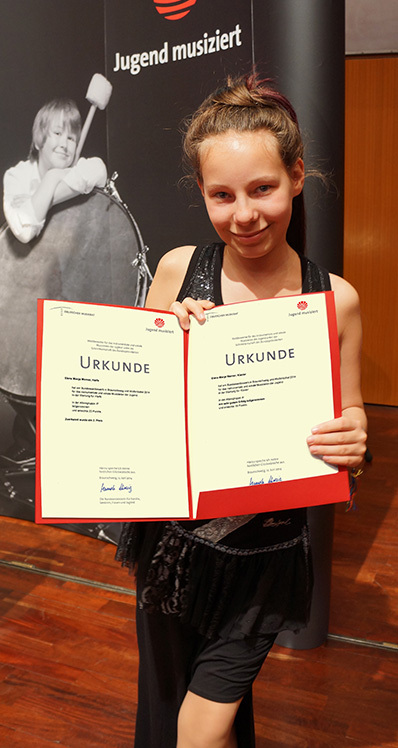 I was also awarded with a first prize for both of my entries with the piano and the harp in the competition »Jugend musiziert 2014« of Spain and Portugal at the German School Lisbon, in which all winners of the regional competitions of German-Spanish and German-Portuguese international schools had participated, and I can now travel to Germany in June for the federal competition. 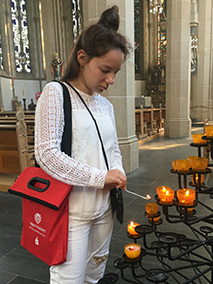 It was thrilling, exciting, inspiring … and especially a very moving experience to live to see how music connects us all! 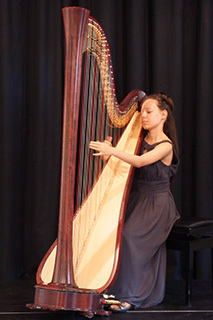 At the regional music competition »Jugend musiziert 2014« at the ›Deutsche Schule Málaga‹ (Spain), I participated with my two main instruments, the piano and the harp and won a first prize for both instruments! 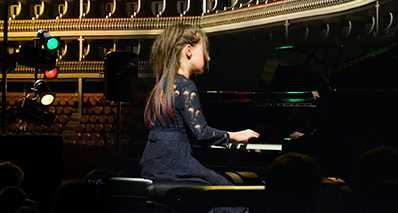 Further, I reached the second phase of the competition, the nationwide competition at the ›Deutsche Schule Lissabon‹ (Portugal)! I am so happy about this and am very excited what the future holds. I would like to wish all my friends a very happy and special Christmas time, an exorbitant start into the New Year and many beautiful, musical moments! At last – my new composition »Memories of the future« is now online! 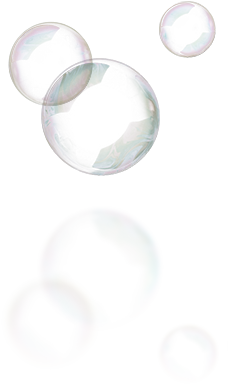 Listen to new sounds, enter other dimensions and join me on a journey to infinity. I am very happy about your »Like« clicks, comments and guest book entries! Every sentence contributes towards carrying this musical vision a little bit further out into world. You are also able to watch and of course »like« my videos on YouTube and on Vimeo (in HD quality). 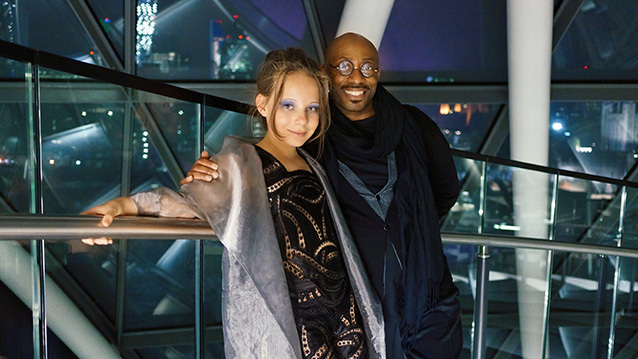 For my new composition »Memories of the future«, I trained together with the well-known choreographer Les Child in London, who has already worked with the Pet Shop Boys, Robbie Williams or the Rolling Stones. To round it all off, we made a shooting for my music video in the London City Hall. It was simply mind-blowing – thank you London, thank you Les! 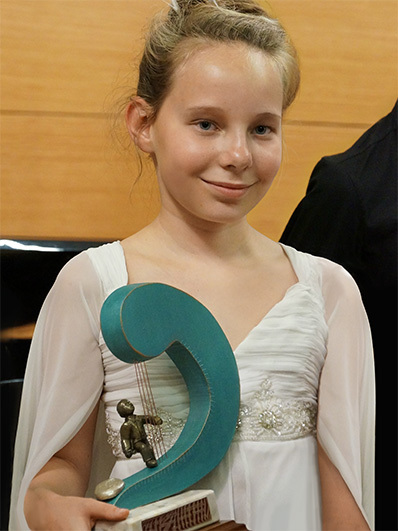 I took part in a prestigious musical contest in Málaga, the XXIII CERTAMEN MUSICAL NACIONAL ÁNGELES REINA, with a »Malagueña« by Isaac Albéniz, the »Fantasy in D minor« by Wolfgang Amadeus Mozart and my own composition »Anima veneziana«. 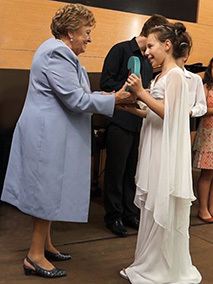 I was honoured with the highest award for my contributions, the »Premio a la Musicalidad« (award for musicality). I am overjoyed and grateful for this grand honour and the appreciation for my music! My second music video »Anima veneziana« is now online. Accompany me on a gondola ride through Venice and touch the depths of the soul. I am very happy about your »Like« clicks, comments and guest book entries! I would like to sincerely thank all the friends of my music for this amazing response to my first music video »Storms in hands«. All the guest book entries, comments and e-mails … I was very touched and over the moon. Thanks a million to each and everyone! 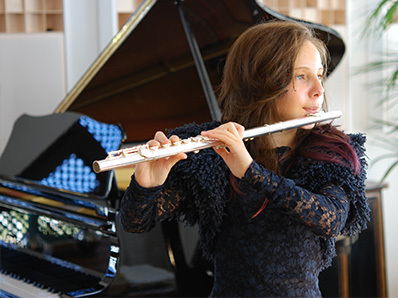 A warm welcome to my website where I would like to present my musical ideas. 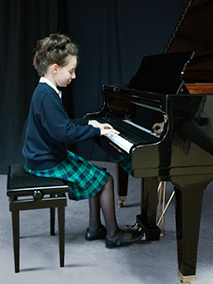 You will find out more about me, you can look at videos of my musical pieces and visit the photo gallery. I am especially delighted about an entry into the guest book! The music video to my composition »Stürme in Händen« [Storms in hands] is now online.